Dr. Still was born in Virginia in 1828, the son of a Methodist minister and physician. At an early age he decided to follow in his father’s footsteps and become a physician. After studying medicine and serving an apprenticeship under his father, Still became a licensed MD in the state of Missouri. In the early 1860s, he completed additional coursework at the College of Physicians and Surgeons in Kansas City, MO and went on to serve as a surgeon in the Union Army during the Civil War. After the Civil War and following the death of three of his children from spinal meningitis in 1864, Dr. Still concluded that the orthodox medical practices of his day were frequently ineffective, and sometimes harmful. He devoted the next ten years of his life to studying the human body and finding better ways to treat disease. William Garner Sutherland was born in Portage County, Wisconsin in 1873. His father was a blacksmith and his mother a homemaker. Dr. Sutherland was the third of four children. His first professional job was as a reporter with a local newspaper in the northern part of Wisconsin. He remained at this job until the age of 22. In 1895, Dr. Sutherland enrolled in the American School of Osteopathy [ASO] (now, the A.T.Still University of Health Sciences)). He graduated at the age of 25 in 1898. Dr. Sutherland was an extraordinarily bright student and while at the ASO he made an observation that would change not only his life, but the lives of many osteopaths and patients/countless others. Dr. Sutherland determined that there is a palpable movement within the body that occurs in conjunction with the motion of the bones of the head. This is a rhythmic alternating expansion and contraction motion in the cranium which is part of what he termed the Primary Respiratory Mechanism (PRM). This motion exists in every cell of the body and can be felt and worked with in any part of the body by a trained physician. 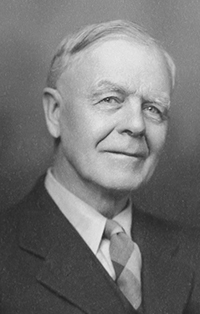 Cranial Osteopathy was discovered, developed and taught by William Garner Sutherland, DO, in the first half of the 1900s. Dr. Sutherland always emphasized that the cranial concept was incorporated within the teaching of Dr. Still’s science of osteopathy. 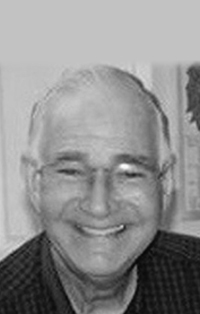 Dr. Sutherland performed his research and practiced medicine for most of his life in Missouri. In 1951, at the age of 78, Dr. Sutherland left the Midwest and moved to Pacific Grove, California. He and his second wife, Ada Strand Sutherland, lived together in California until he passed away in 1954. Dr. Sutherland left behind an invaluable contribution to medicine revered by Osteopaths all over the world. Dr. Burns was the first person to fully dedicate her career to research in osteopathic manipulative medicine. 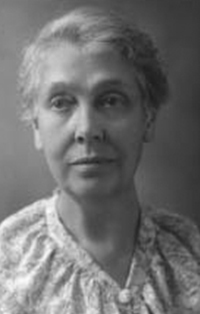 In 1903, she began investigating the impact of somatic dysfunction–“the osteopathic lesion”–upon animal models. She experimentally induced bony lesions in animals and documented their physiologic and anatomic effects upon brain, heart, the GI tract, reproductive organs and kidneys. Much of her work focused on the physiology of the nervous system in relationship to clinical palpation findings. In 1914, under the auspices of the American Osteopathic Association, she founded the A. T. Still Research Institute in Chicago, later moving it to S. Pasadena, California where it became associated with the Los Angeles College of Osteopathic Physicians and Surgeons. Throughout her career, Dr. Burns called upon the osteopathic profession to fulfill the need for expanding scientific research into osteopathic concepts and methods. Dr. Denslow advocated for the use of scientific instruments and measurements for the validation of osteopathic clinical findings and outcomes. Utilizing electromyography (EMG), he studied the effects of somatic dysfunction upon muscle reflexes and the autonomic nervous system. His work documented correlations between abnormal EMG findings and clinical presentations. He proposed a standardized methodology in the use of the standing postural x-ray for the purposes of research, and he promoted the development of consistent terminology for use amongst academics and clinicians. Dr. Denslow became the director of research at the Kirksville College of Osteopathic Medicine, where he mentored and inspired a generation of researchers, including Irwin Korr. 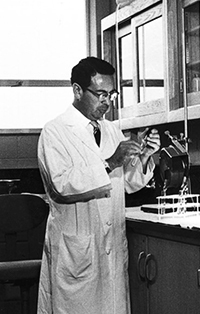 Dr. Wilbur Vose Cole, 83, died Oct. 21, 1996. He was born Jan. 19, 1913, in Waterville. Dr. Cole received a BS degree from the University of New Hampshire, graduated from Kirksville College of Osteopathy in 1943, completed a three year residency in neuropsychiatry, and received an MA degree in social science from Northeast Missouri State University in 1954. From 1949 to 1951, he did research in Los Angeles, Calif., with Dr. Louisa Burns. His original research in anatomic neurology was honored worldwide. He joined the staff of the Kansas City Osteopathic College in 1951. He retired in 1980 as dean of the college and head of the department of psychiatry and neurology. Dr. Cole was a member of the American Osteopathic Association, American Microscopical Society and the Scientific Research Society of America. In addition, he was a fellow and past president of the American College of Neuropsychiatry and a fellow of the American Academy of Osteopathy. Dr. Cole published numerous articles in professional journals and served as chairman of the Bureau of Research for the AOA. 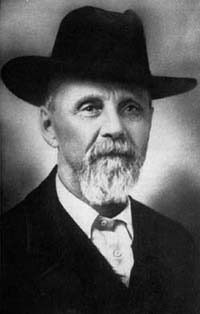 Dain Tasker, D.O., valedictorian of the first class of PSO in 1898, became a major advocate for osteopathy in California as well as its invaluable historian. Dr. Tasker based many of his historical accounts on documentations in The Osteopath. To educate other health practitioners and the public on osteopathy, they started publication of a monthly journal, The Osteopath, as early as July 1896. After his graduation in 1898, Dain Tasker, D.O. was immediately recruited to teach theory and practice of osteopathy. This was quite a challenge as the initial teachers, had not put their lecture notes on paper and there were no publications by Dr. Still or the American School of Osteopathy available. This frustration prompted Dr. Tasker to write his own book on osteopathic principles and practices, published in 1901. For years, it remained an essential text for the osteopathic profession. Dr. Dain L. Tasker, in his “Principles of Osteopathy,” has given us much that is of value to every student. His recognition of the importance of the cell, the nature of the different kinds of tissues, etc., and the unmistakable scientific basis upon which he rests his conclusions are worthy of special commendation. The work also discusses the subject of examination of the different regions of the body and the treatment of abnormalities. In both 1901 and 1907 he was elected president of the Osteopathic Association of the State of California. 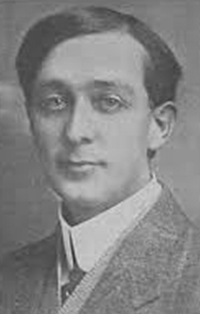 During 1910, the same year the Flexnor report, Dr. Tasker became the only D.O. to be president of the composite state licensing board. Dr. Korr was a physiologist who began his career in Kirksville in 1945. His work focused on the close interaction between skeletal muscle and the autonomic nervous system. He proposed “the facilitated segment,” a concept that identified the effects of sustained sympathetic tone upon organs. Through his work with, he demonstrated that the over-stimulation of regional spinal regions correlated with galvanic skin resistance. 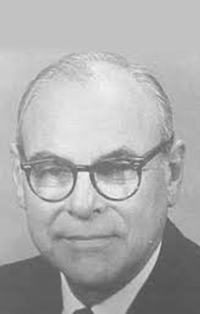 In addition to his work on somatic dysfunction, Dr. Korr identified the trophic function of nerves, whereby nerves conduct protein substances, other than neurotransmitters, to the organs they innervate. Of particular interest to him was the study of the mind-body interrelationship and the mechanisms that explain how emotional states can escalate the impact of increased sympathetic tone. Dr. Korr stated that physiological processes are best understood within the context of the individual, including an understanding of past and present history, physiological and socioeconomic environments. He is remembered as a philosopher and visionary of osteopathic research, and as one of its foremost scientists.